I haven’t been at the computer much lately, which has been a relief. I swear, I can practically feel the carpal tunnel syndrome backing away like reprimanded dog. Where I have been a lot is out at the airport, working on the Cherokee. Are you sick of reading about Ron and his plane yet? What can I say. It’s what I like to do. There are some cool planes out at Corona, ranging from World War I era fighters to experimental homebuilt aircraft made from space-age composite materials. 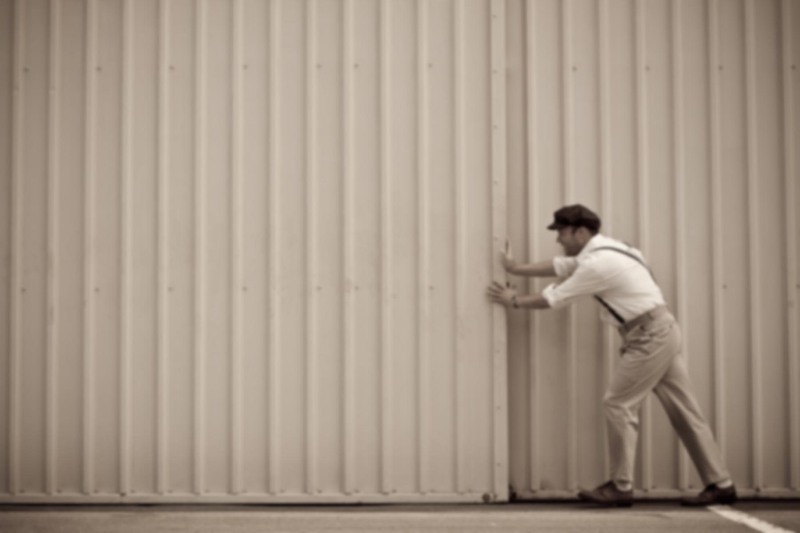 And just today when I drove in the airport gate, I saw something amazing–a fully restored Ford Tri-Motor, an aircraft which was manufactured in the mid 1920’s by the Ford Motor Company. 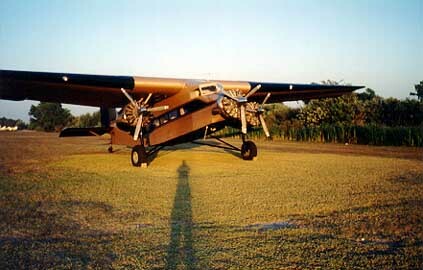 The Tri-Motor was the first aircraft to have a skin made entirely of metal, and I believe in 1992 there were only 3 or 4 of these left in airworthy condition, perhaps less. It’s even possible that today I stood in front of the last flying Tri-Motor in the world. This beautiful, huge antique was sitting out on the grass looking as if it had just come out the factory doors. Luckily, I had my camera handy and got these photos. The plane’s age is borne out by the radial engines and squarish, box-like airframe. There was not a soul around. Just me, a setting sun, a huge expanse of empty grass, and a bit of history. Anyway, back to my plane. 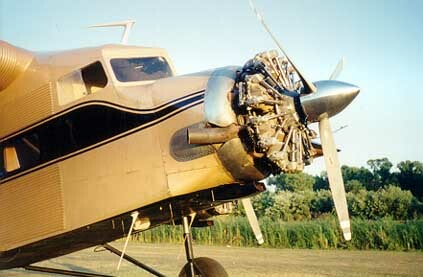 The Cherokee is currently out of service for it’s annual inspection, and since the FAA allows the owner to do some of the maintenance under the supervision of an A&P (Aircraft & Powerplant mechanic), I’ve been doing the more mundane (but time-consuming) tasks. This baby has come a long way. Last year the annual took four months. A bunch of ADs (Airworthiness Directives) were complied with, and the interior was completely redone. Remember, this aircraft was manufactured in 1963. We were thinking of repainting her, since the paint is pretty oxidized from exposure to the sun. Until last year, she was tied down outside. But when Martin (one of the other owners) sold his Hatz bi-plane, the Cherokee was moved into this hanger. Rather than spend thousands on repainting the whole plane, we opted to polish up the grey base coat and just repaint the black and red stripes ourselves. That might leave some cash for installing new avionics. I’m the most gung-ho about the whole thing, so naturally I’ve been doing most of the work. First, the inspection plates, cowling, wheel pants, and tail cone were removed. We found a fuel leak from the left tank and fixed it. Then the oil was drained, and I started cleaning the gunk of the bottom of the fuselage and wings. Then I polished the whole airframe, and started the prep work for painting by taping along the red and black stripes. It doesn’t sound like much, but remember the stripes go underneath the aircraft and around the flaps, ailerons, and so on. The hardest part has been taping around the registration numbers. The tape doesn’t curve, but the numbers do. So far I’ve spent 25-30 hours on the plane, and it’s nowhere near done. The A&P is supposed to be doing the compression test on Friday. That measures how much each cylinder leaks past the rings and valves. We’re also going to jack the plane up and check the wheel bearings on the landing gear, lubricate and test the control cables, and a bunch of other stuff. I get tired just thinking about it. There is no AD list. The T-28 was a military aircraft and was not produced under an FAA certificate. When T-28s are obtained by civilians, they are registered with the FAA in the Experimental category. 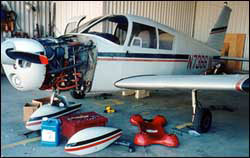 Aircraft in this category are not subject to Airworthiness Directives. 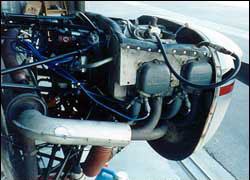 However, you can search the FAA’s AD database (see http://www.rapp.org/url/?FSZDC75W) for specific parts (engine, prop, avionics, etc.) to find ADs that have been issued against those particular items on certificated aircraft. You might also with call EAA. They could put you in touch with an appropriate warbird owners association.